New price! 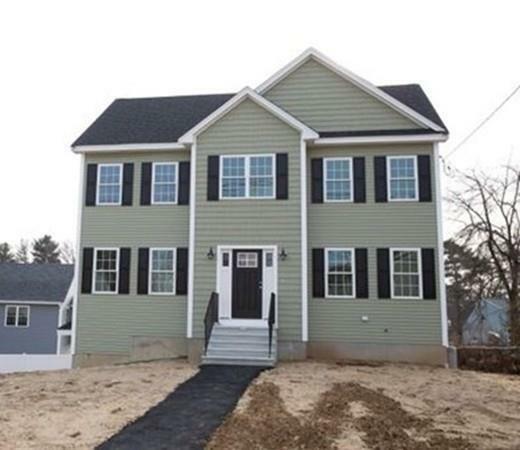 You won't want to miss this new construction colonial close to the Burlington line. Hardwood flooring throughout the first floor (except the laundry room and half bath). The kitchen offers maple cabinets, stainless steel appliances, a large center island, granite counters, recessed and pendant lighting. The dining area has a slider leading to the deck. Very nice formal dining room offering wainscoting and crown molding. The foyer offers a large coat closet and the hardwood staircase. The second floor offers 3 bedrooms and an office. The master bedroom has a walk in closet and full bath with double vanity, and tiled floor & tub surround. There is a walk up attic for future expansion. 2 car garage under. 11, 000 sf lot. This home is near completion but there is still time to choose the flooring in the bedrooms and the office. Open house this Sunday!